It’s great to be able to bring you this online guide to the amazing world of wildlife, with suggestions on where you can visit in the UK to get up close to the remarkable range of species that share the planet with us humans! Britain has an exceptional collection of zoos, wildlife parks, sealife centres and wildfowl reserves, and hundreds of other places where you can watch our native species in the outdoors. We hope this site gives you a taste of all that fantastic resource, and our aim is to constantly expand and enhance the content. A visit to your local zoo or wildlife collection will introduce you to all sorts of animal types, but you can also track them down in their natural habitats, and go and see them there too! 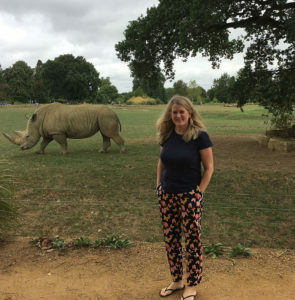 Over the coming months, we aim to add content on how to become involved with conservation, breeding and animal study, as well as the chance to spend time as a zookeeper and read interviews with experts in their field. We’ll also be covering where to go further afield on wildlife and conservation holidays, so that you can experience animals in their native habitats. We hope you enjoy the site and find it helpful in your search for visit ideas and experiences in the animal kingdom. We would very much welcome your comments, experiences, suggestions and photographs to help build an engaged online community.